A month ago, Thom took special guests Allie and Sean to see Gundam NT on the big screen in Scenic New Yark City. Afterward, they ate dumplings and discussed the movie into the wee hours of the morning. 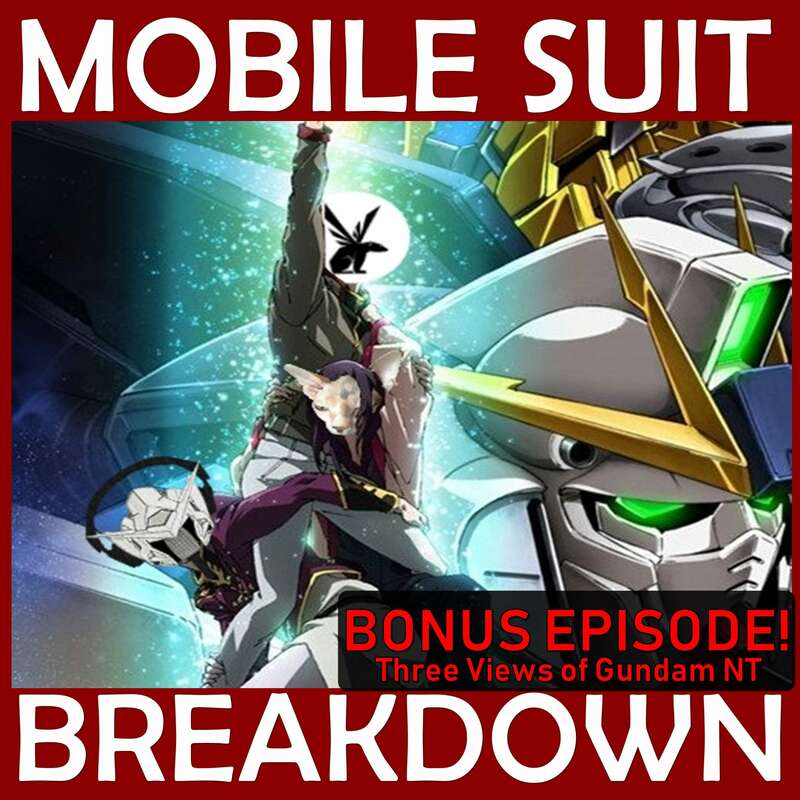 That discussion became the February 2019 bonus episode for Mobile Suit Breakdown's subscribers on Patreon, but after mulling the movie for a few days Thom asked Allie and Sean to join him in recording some more considered thoughts about the movie as a special bonus for all of MSB's listeners. So now you all get to enjoy: Three Reviews of Gundam NT! Warning: There are Gundam NT spoilers in our Gundam NT reviews in this episode. You have been warned!